…has a background in retained executive search within the financial services industry, including private equity and asset management. 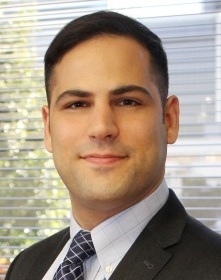 Prior to joining Berkhemer Clayton, Shai worked for retained search firms in London, including CTPartners (formerly Christian & Timbers) and Egon Zehnder International, where he worked on engagements for high profile clients such as Barclays Bank, Royal Bank of Scotland and JPMorgan. He previously worked for the United Nations in Amman, Jordan, researching and reporting on project development for humanitarian aid. Educated at Cambridge University in England, where he earned both his master and bachelor of arts degrees, Shai majored in foreign languages, including French, Spanish and Arabic. Having grown up in London, Shai speaks fluent English, and his love of language was based on his ability to speak Hebrew at a near-native level of proficiency. Shai has always enjoyed working in diverse cultural settings, reflected by his early career working abroad as a teacher in France and Australia. He has also been involved in community youth work in England, Israel and the U.S. He currently handles corporate communications, finance and general management searches. Shai’s philosophy is that every client and every candidate is unique, and therefore every search requires a customized approach as well as a deliberate and effective strategy. His experience has taught him that in the hunt for exceptional executives, the market is fluid and constantly changing, so that leveraging established relationships and contacts must always be balanced with relentlessly seeking new resources.